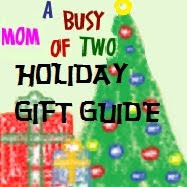 I love to give holiday gifts, but one challenge that I face is what to give to teachers, babysitters, and others outside of the family. I don't want to just give something to give something. I want to give something that is personal to say thank you, something practical that won't go to waste and something that isn't typical (especially to a teacher that has 25 students giving little gifts each year). When it comes to neighbors and co-workers as a whole, my goal is to help spread holiday cheer. For my neighbors, I like to put together a small platter of baked goods to share and I also take a large platter of baked goods to work to share with everyone. This works great for the general population, but I felt the need to personalize things a bit more for those that are more in my life. I thought back to the gifts that I like to give at wedding showers - themed baskets (basket is optional, gift bag or other container works well too!). What I like best about giving themed baskets is that a portion of my baskets are always consumable, which I think makes it more practical. The nice thing about a themed gift basket is that you can make it more or less personal, depending on your recipient and how well you know them. In recent years, some of the gifts that I have given have been coffee gift baskets, bread dipping gift basket, wine and cheese, and so on. In a coffee gift basket, I might include a package of coffee (holiday flavored perhaps), a pair of holiday mugs, a coffee cake mix (either a box mix or there are websites that offer "recipes" for gifts like here), a holiday tea towel, and other associated goodies. For the bread dipping basket, I found a set of dipping bowls (you know those flat bowls like they have at Bravo!, Macaroni Grill, etc), a container of dipping blends (I found one with four varieties), a bottle of olive oil, a holiday tea towel and a gift card to buy bread. You get the idea. So, I thought, why not make a plate of tasty treats that they could eat or share with friends and family that visit during the holiday season. For the teachers I decided it would be better to give them a plate that they could use over and over again, instead of the typical paper plate I use when giving plates of cookies to neighbors. I headed out to the store and found some really cute little square plates (like these here, here and here). They were winter themed, not just holiday themed. I piled them with our homemade holiday cookies and candies, covered them in some plastic and attached a big bow. This post (and series) shared on the Holiday Gifts themed Works for Me Wednesday over at We Are THAT Family. Nice gift ideas here. Thanks for sharing.